I was waiting for the new changes to the certifications by Hortonworks to be completed in order register for HCA. But now I do not see the option to purchase the HCA certification. It says 'Currently Unavailable' even after the 31 December 2018 which was supposed to be the date after which the exam was supposed to be active again. Why is this and when will this be made available, if at all it is going to be. Or Is this going to be removed from the certifications altogether? The other certifications are available for purchase. And do any of the other certifications require HCA as a pre-requisite? The option to purchase has now been activated in https://learn.hortonworks.com/hortonworks-certified-associate-hca-exam. I am yet to purchase the exam. However, in https://www.examslocal.com/, I do not see an option to schedule HCA. Is this exam supposed to be taken in some other manner and not via Exam Locals? I'm doing this to check the option on how many days I have from the date of purchase to actually take up the exam. @NANDA KUMAR PONNUSWAMY I was also interested in doing this exam but i see it says it unavailable. Although the link you shared says its purchasable. 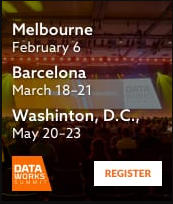 Have you got any feedback from Hortonworks about this? We have passed the date for exams to become available as well. Unfortunately, I have not received any response from Hortonworks. I am disappointed with Hortonworks' response as I have contacted their sales & training teams on some other questions related to the new version of the exams and the training contents. It has been a long time and they have not responded to those either. I don't know if they will ever respond.